St. Martin's Griffin, 9781250113344, 176pp. 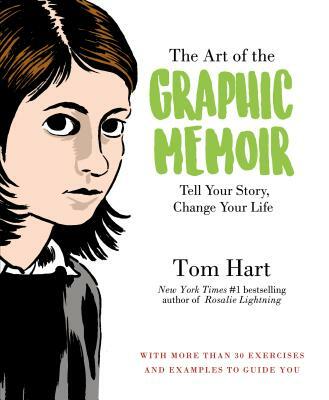 With clear examples and visual aids, The Art of the Graphic Memoir is emotive, creative, and accessible. Whether you're a comics fan, comic book creator, memoirist, biographer or autobiographer, there’s something inside for everyone. Tom Hart is a #1 New York Times bestselling author and critically acclaimed Eisner-nominated cartoonist and the Executive Director of The Sequential Artists Workshop in Gainesville, Florida. He is the creator of Daddy Lightning, and the Hutch Owen series of graphic novels and books. The Collected Hutch Owen was nominated for best graphic novel in 2000. He won a Xeric Grant for self-publishing cartoonists. He teaches sequential art at the University of Florida and taught at NYC's School of Visual Arts for 10 years.